Project Manager/Superintendent - Peter Dalfonso P.E. Mr. Dalfonso has over 40 years of experience in design and construction of heavy earthworks projects. He will be responsible for project coordination, preparation of a traffic control plan, an erosion control plan and a dewatering plan. He will also provide subcontractor coordination and layout. He will be onsite for the duration of the culvert installation. Mr. Dalfonso is certified in erosion and sediment control practices. Mr. John Woods, co-owner of Woods Excavating, LLC, has over 30 years of experience in utility and site construction. He will be the prime excavator operator for the installation of the footings, and backfill of the structure. Mr. Chris Woods, co-owner of Woods Excavating, LLC, has 9 years of experience in utility and site construction. 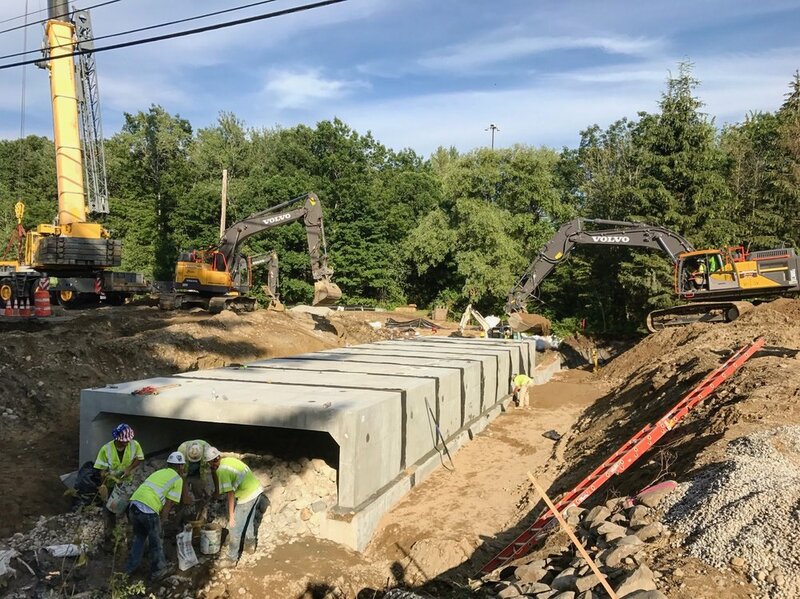 He will be responsible for coordination of the footings and culvert installation in the trench including fine grading of the bedding to insure proper grades for the culvert. Woods Excavating’s entire staff will be available for the duration of the project to support installation of the culvert and storm drain. Superior Concrete LLC will supply the culvert and footings for the replacement project. They will also have a technician onsite for installation for the footings and culvert. Paving Subcontractor - Dayton Sand and Gravel Co., Inc.
Dayton Sand and Gravel, Inc. will provide paving and fine grading for reconstruction of the roadway. 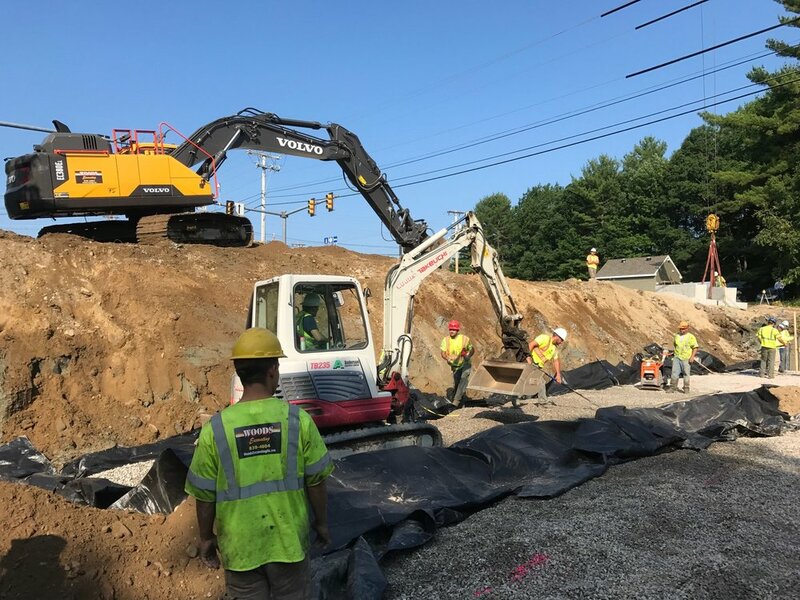 Curbing Installation Subcontractor - Labreque Construction, Inc.
Labreque Construction, Inc. will provide services for reinstallation of granite curbing removed to facilitate installation of the culvert and storm drain.